Find the best deals on fantastic Australian wines. Compare current prices from major UK merchants and redeem our exclusive voucher codes. Use various search filters to find what you like most. Look at reviews, awards and Price History of each product. 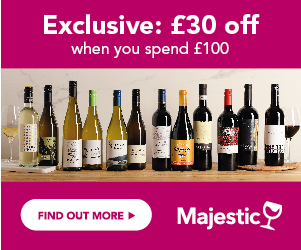 Sign up to Price Alerts to never miss an offer on your favourite bottle. There can be no greater success story in the last 25 years of wine sales worldwide, than the meteoric rise of Australian wine sales on the international wine market, but especially in the UK. From having a teeny share of the market in the mid 1980s, Australian wine now dominates the Uk market, holding over the number 1 position, with well over 20% of the market, and responsible for 5 of the UK’s top 10 wine brands. For decades, the Australian wine industry, has been focussed on export markets, and today is the 4th largest exporter of wine in the world, whilst being the 6th largest producer. It exports over 750million litres of wine per annum, which represents over 60% of its total production. It is fair to say that Australia single –handedly established the trend for the now established popularity of wines labelled by the name of the grape variety, rather than the region, which was the traditional labelling practice of French and other European wines. UK wine drinkers in the mid eighties and early nineties, swiftly caught onto this, as it made choosing wine easier, and reading the label far more simple. Labels were easily recognisable, legible, and understandable, and most importantly, were in English! Far more straightforward than trying to decipher French or Italian , and further made easy by the fact that most of the initial wines hitting our shores had strong, recognisable brand names, such as Jacobs Creek, Lindemans and Hardys, which were 3 of the first to emerge as strong personalities on the supermarket shelves, which slowly starting to make more space for these increasingly popular wines. Australian wine continued to grow at meteoric rates for over 20 years, slowing only in the last 5 years. The early brands led to a rush of own labels and subsequently to the arrival of other New World wines, from Chile, California, South Africa, and more recently New Zealand and Argentina. The Australian phenomenon even led to a more focussed approach by the beleaguered Old World countries, who swiftly adopted some of the more modern wine making techniques, used in Australia, and in some areas, notably southern France, began to produce and create wines labelled by grape variety. But apart from the labelling, and easily recognisable brands, the main reason for the success of these wines, was their reliable, consistent, easy drinking style – a totally new flavour profile , which helped introduce wine to millions more people – fresh, fruity, soft, appealing, with bold, ripe flavours, no tannic or acidic edges and smooth, approachable flavours. Australia was also responsible for the arrival of the BOGOF ‘ buy one get one free’ and half price wines, which are now a fixture of the wine shelves. In years of glut, this was a way of shifting the huge volume of wine produced; it is only in the last few years, with a couple of shorter vintages, that volume growth has slowed. The focus from producers is now on building awareness and sales of their more premium wines, but with wine drinkers still firmly focussed on the great value that Australian wines has always represented, this is not an easy task. Vine cuttings were first brought to Australia in 1788, when the First Fleet sailed into the then penal colony, from the Cape of Good Hope, and records of the first vineyards indicate the early 1820s. The majority of the early vineyards were based close to Sydney, up in the Hunter Valley, where a Scot, James Busby, generally known as the father of the Australian wine industry, first purchased land, and then brought cuttings from Europe to plant and develop.The real growth of the Australian wine industry was fuelled by the arrival of European settlers, from England, German, Croatia, and many other countries, who brought their culture, traditions and in many cases, wine-making history with them. Lindemans, Penfolds, Wolf Blass and Jacobs Creek are just a few of the great, historic Australian wine names, that were founded by European settlers. From the early days of the settlers, the vast majority of the Australian wine industry has been based in Southern Australia, spanning a wide region from the Hunter in the south east, over to the Barossa close to Adelaide. The only other regions of the country to have emerged as quality wine producers are Western Australia, and also a small production from Tasmania. There are over 2000 wineries, many of them small, boutique producers, and over 155,000 hectares of vineyards planted, over 70,000 of these in South Australia. White wine accounts for almost 40% of production, with the traditional red styles dominating. Until the 1970s, the production was focussed on sweet and fortified wines, with high quality reds, such as Penfolds , in relatively small production. That all changed, when the trend for quality red and white wines began, and the rest is history. Due to the scale of production of the big brands, and to the restricted production opportunities for small growers, the culture of contract growing developed rapidly, with large companies, buying in a high proportion of their grape requirements in this manner. The 2 giants of the Australian wine industry are Treasury Wine Estates, who own Lindemans, Penfolds and Wolf Blass, and Accolade wines, who own Hardys. Whilst grapes are planted in most of the 60 states of Australia, quality wine is only produced in the southern and western areas, located, close to the coast. Even if the early settlers had not built their homes close to the coast, the emerging wine industry would have naturally settled in those areas, since the remainder of the country is a vast expanse of desert and in the far north,tropical conditions dominate, making much of the country unsuitable for wine production. Australia has one of the most diverse wine producing topography and climate, with wide variations, based on soil types, microclimates, latitude, altitude and weather. It can therefore produce top quality wines, across just about every grape variety; from the early days of rich, ripe Shiraz and Chardonnay, research into specific microclimates and perfect locations, with cooler climates, has enabled the production of world class wines from the Riesling and Pinot Noir grapes, with Sauvignon blanc now also being produced far more successfully than 10 years ago. Australia has a hot climate, which is naturally suited to grapes that need heat, and ripeness, and in the past, attempts to grow the more delicate grape varieties, were not highly successful, leaving southern neighbour New Zealand to pave the way for Sauvignon blanc and Pinot Noir. But areas such as the Adelaide Hills and Eden Valley, plus the unique Mornington Peninsula are now all sub-regions which are demonstrating the ability to produce superb wines from these more fragile grapes. It’s all about the balance of the hot sun, and the coolness of the night air, and years of research have gone into pinpointing the very best locations. But Australia isn’t just about finding the perfect grapes and the perfect location to grow them. More than any other wine-producing country, Australia has been at the forefront of the development of modern viticulture and winemaking techniques. With no stifling, historical wine rules and laws, which have frequently encumbered European countries, Australian winemakers and vinegrowers have had the freedom to experiment, taking traditional techniques and either improving them, or turning them on their heads. From the treatment of the vineyards, to canopy management, and how to treat the vines, to revolutionary ideas in terms of winemaking techniques at every level of the process,from picking and crushing to ageing and storage, Australian winemakers have revolutionised the way that the world now produces wine, and their influence has reached into all corners of the wine producing world, even, to a somewhat smaller degree, in the very bastions of traditional style and heritage, such as Bordeaux and Tuscany! The wine regions of Australia cover a vast area of land, but are all predominantly in the southern sector of the country, close to the coast, with a small proportion of vineyards in Queensland and the Northern Territories. There is a very broad appellation, which Australian wine drinkers will often find on wine labels, called South Eastern Australia – this is an area which covers over a third of the entire region of south east Australia, running from the Pacific ocean in Queensland, to the Indian Ocean in South Australia and encompassing every major wine region in Australia except Western Australia. This enables the major producers to use grapes grown in any of these areas to produce a wine, or a brand, labelled South Eastern Australia; this is often the case for some of the biggest brands – the wines won’t be that interesting and will show little regional style, but will often the consistent of style that a brand is based on. Much of the volume for these brands comes from 2 key river areas, where the vineyards ,in the hot temperatures, benefit from the impact of water – the Lower Murray, in South Australia, and the big river zones in New South Wales. Not known for its vine growing potential, the far north, Northern Territories, with their mix of desert and tropical rainforest produce some high alcohol, mainly fortified reds from Shiraz and Cabernet Sauvignon. Queensland is not known for its wines either, but there is a rapidly growing wine industry here now, based on the eastern, coastal region, which benefits from the cooling ocean breezes, onto this hot, and very tropical region. The main grapes grown are Shiraz, Cabernet Sauvignon, Grenache, and another little known red, the hardy Durif. The style is rich, intense and full bodied, as would be expected from the hot climate of this area. Probably the best known and without doubt, one of the most widely planted grape varieties in Australia, grown right across the country, from the historic Hunter Valley, right across to Western Australia. Styles vary greatly, from the more traditional oak aged styles in the Hunter, to the new wave, of vibrant, fresh, often unoaked, or lightly oaked styles made in the Adelaide Hills, Western Australia and other cool climate areas. The oaked styles are rich, bold, full of toasty, tropical fruit, and a creamy vanilla edge; the newer, fresher styles, celebrate the pure fruit quality, with lively, citrus-streaked white peach, creamy fruit. Chardonnay is a very versatile wine, with a soft, rounded, creamy style. It’s best suited to rich fish dishes, such as salmon, creamy fish pie, a dead cert with buttery roast chicken, pork in a creamy sauce and also perfect with brie and other soft cheeses. Lighter, zippier styles work well with lightly spiced dishes, and seafood. Sauvignon blanc used to struggle in Australia, since the heat in the more traditional areas did not suit its temperament; however, with exploration, and the discovery of an increasing number of cool climate regions, Sauvignon blanc is now coming into its own, and producing, verdant, fresh, zesty whites, with a ripe, tropical edge. Those closest in style to New Zealand come from Tasmania, but there are now some top quality styles coming out of cool climate regions such as Adelaide Hills, and also the more continental and Mediterranean climate of Western Australia. Look no further than freshly prepared seafood, simply pan-fried fish, and zingy green salads. It’s a natural match with asparagus, and also a perfect match to thai and Chinese dishes, where it’s aromatic, lime-fresh flavours perfectly balance the spiciness of the oriental flavours. Will also work with mild Indian curries, and is a delightful match with goats cheese salad. The original white grape variety of Australia , first grown in the Hunter Valley, and responsible for some of the iconic, historic whites from Australia. On its own, it has an incredible richness, and almost waxy, creamy texture, but with ripe, peach and stone fruit character, a citrus tang, and uniquely, an incredible acidity, which both provides lift and vibrancy, and results in some of the longest-lasting, fresh, zippy wines around. Taste an aged Semillon, and it is likely to have an amazingly fresh , lively, lime-streaked finish. In western Australia, it is blended with Sauvignon blanc, to produce Bordeaux white style blends. Unique on its own, it also becomes a workhorse of a grape, when grown , alongside Chardonnay in the volume producing regions of Australia, helping to produce, fruity, fresh, tropical fruit edged Chardonnay/Semillon blends. Chardonnay Semillon blends are very food friendly and easy drinking – chicken pie, barbecues, mild curries and spicy Mexican dishes all work well. Blended with Sauvignon blanc,in Western Australia, it becomes a totally different animal – lively, racy, and perfect with seafood, and lightly spiced Asian fish dishes. On its own, with its searing acidity, it’s a great match to grilled fish, scallops, lemon- basted chicken, and vibrant vegetable salads. The native grape of Germany and Alsace, Riesling is perfectly suited to some of Australia’s coolest climate wine growing regions, producing world class wines, most famously in the Clare and Eden Valleys, of South Australia, full of lemon zest, pungent, floral character, with a twist of lime and a minerally, pure fruit freshness. Much loved by wine aficionados, and misunderstood by most other wine drinkers, Riesling is one of the most versatile and food-friendly wines in the world. It’s naturally suited to dishes with powerful flavours, as its own , intense character, makes it able to cope with any dish with strong, spicy, powerful flavours. It’s a natural with smoked fish dishes, and should be the first choice for spicy Indian curries and marinades, as well as Thai chicken curry; but its’ also fantastic with fruit- infused meat dishes, such as roast pork with gooseberries, north African fruity tagines, and rich, washed rind cheeses. Originating from the Rhone valley, where it is known as Syrah, Shiraz is without any shadow of a doubt, Australia’s national red grape! It was first grown in the mid 1830s, up in the Hunter Valley, where is still produces, big, bold, gutsy reds. It is an intensely rich, spicy, and structured grape, with a deep colour, strong tannins, and incredible richness. It is in its element in the classic region of the Barossa Valley, where it produces, some of the greatest wines in the country, internationally recognised, and is a key component in arguably Australia’s finest red, Penfolds Grange. In its purest form, it produces wines for ageing , with dense fruit and an intense structure. However it is also grown in the volume producing areas, as a key component to Australia’s top, volume blend, Shiraz/Cabernet, adding the richness, spice, and ripe plum and mocha edge to Cabernet’s more overt fruitiness. Look no further than seared steak, barbecues and hefty stews! These warming, rich, moreish wines need rich, flavoursome dishes to accompany them. the richness of the wine will also go perfectly with spiced roast lamb, and matches very well with Indian red meat dishes. Also great with a slab of good cheddar. The ripe, minty, blackcurrant characteristics of the Cabernet Sauvignon grape, are showcased to perfection in some classic Australian wine regions. On the volume front, it partners Shiraz in the production of a vast amount of soft, easy-drinking Shiraz/cabernet blends, yielding, soft, ripe, fruity reds, with gentle tannins, ripe fruit and a spicy edge. On its own, it produces some of the most iconic Australian reds, such as John Riddoch, and its true home, is on the unique ‘terra rossa’ soil of the chilly Coonawarra area of South Australia, where it is seen , at its purest and complex best, with intense blackcurrant and eucalypt/mint character. Whilst it is adaptable to hot climates, it’s in areas with cooler nights, where the grape is really showcased to its best, and it is also producing some remarkable wines in the cooler, more European-style region of Western Australia. Cabernet Sauvignon is a natural match with roast lamb, roast beef, and steak! Due to the naturally higher tannin levels, this is less good with oriental dishes, but works beautifully with a classic slab of cheddar or rich lamb and beef stews. Also great with venison. One of the classic grape varieties in traditional Bordeaux blends, the Merlot grape is extremely well suited to South Australia, with its hot, sunny climate – the only danger is that the merlot is an early-ripening variety, so needs to be picked relatively early, before the grapes over ripen. It’s rich, chocolatey, plummy, early-ripening fruit make for deliciously ripe, intense, velvety reds, but it is still also used a great deal, in a blend with cabernet Sauvignon, to make a Bordeaux-style blend , especially in Western Australia– although richer, more powerful and more immediate. Merlot is naturally lower in tannins and acidity than many other red wines, so it will work better with spicy food, than Cabernet Sauvignon, and is also better with rich, naturally sweet, meaty stews. It’s normally a great crowd pleaser and spot on with meaty pasta, everyday dishes such as shepherds pie, and sausage and mash. Because of its low tannins, it’s also a good red to cope with spicy Indian food, and a perfect match to Mexican fajitas. Within wine industry circles, there has been a long standing debate, as to whether Australia could ever produce the quality of Pinot Noir that comes out of New Zealand. The very hot climate does not suit this sensitive and temperamental grape variety, and Pinot Noir until relatively recently has been fatter, less intense, and far less interesting in style than its New Zealand counterparts. However relatively recent plantings, and a focus on cool climate areas for this grape variety have resulted in some extraordinary wines, the most sublime and successful coming from the very cool climate location of Mornington Peninsula, situated, close to the ocean, in Victoria; these wines are world class, and have all the vibrant, nervy, pure elegance of Pinot Noir at its best. It is also very successful in the higher, cooler regions of South Australia, and the most successful red grape in Tasmania. Elegant and perfumed, these wines have a softness, yet a rich silkiness of fruit – gentle tannins, and rich, raspberry fruit flavours, together with a sublime elegance and generosity of fruit – probably the most seductive of all red wines. Pinot Noir is a dream with most game – duck, pheasant, venison etc. it’s naturally sweet ripeness and low tannins make a great match with the naturally sweet fleshy flavours of duck or game. Superb with aged, soft cheeses, it’s also one of the best wines to pair with Asian red meat dishes, as the gently sweet fruit and low tannins will not clash with the hit of spices. Verdelho – crisp, lively, citrus-edged dry white. Chenin blanc – lively, guava and apricot fruit scented dry white. Sangiovese - a lighter, fresher style of red, full of herb dusted, black cherry fruit. Tempranillo – the classic grape of Spain is doing very well in Australia, with its ripe, soft, yet full on, red berry fruit style, and a vanilla, mocha edge.